This recipe came about by some morning creativity when I realized I was out of blueberries, and only had banana to work with for my morning smoothie. Inspired by some spices that I used in a recent Indian feast I cooked, I made a chai-chocolate banana smoothie! It also happened to be on Valentines Day that I did this, so it was a nice love gesture to myself to have a treat for breakfast. 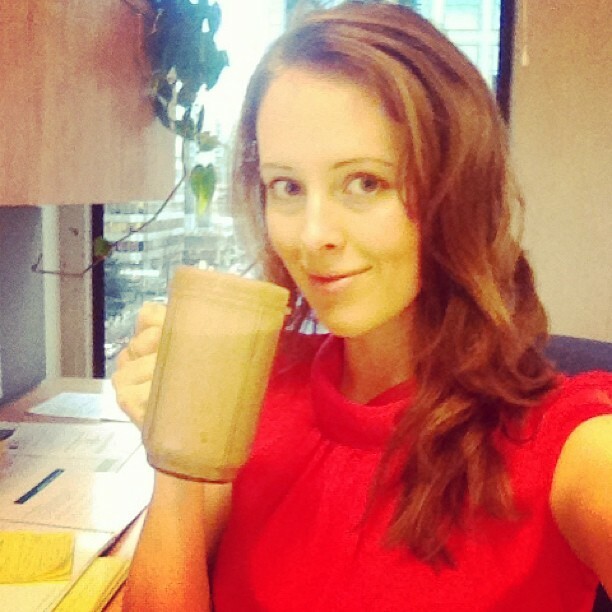 chai-chocolate banana smoothie for breakfast! Method: put all the ingredients in the blender, and blend! Add more of the spices, if you like, to get a stronger flavour.